Why Brits should use winter tyres? In the past few years, there have been many cold snaps for which Brits were unprepared for, and so suffered the consequences. Snow tyres or winter tyres as they are called have become the norm. However, there are comparatively few people in the UK using winter tyres than the rest of Europe despite trade bodies reporting a gradual rise in figures. But the million pound question is should you buy winter tyres? And do they work as advertised? Below we outline all the facts about winter tyres which should help you make the right decision. What are winter tyres all about? Technically speaking ‘winter tyres’ tend to be a rather misleading name. The reason being these are not chunky tyres with thick spiked studs that make it look like a hedgehog. A more accurate name would perhaps be ‘cold weather tyres’ mainly because they are meant to work at very low temperatures in both dry and wet conditions. Plus, they give you much better performance on ice and snow. So, even if it does not snow in your part of the country, these tyres are still important. Winter tyres are made from a slightly different type of rubber compound as compared to all-season or summer tyres. The softer compound allows the tyres to remain stable even if the temperature surpasses freezing. The tyres are able to maintain superior grip and durability as compared to regular tyres that can become hard when its cold. A closer look at winter tyres will help you figure out that the tread design and type is very different from a summer tyre for instance. Winter tyres have a much more rugged contact patch with small spikes and channels which are meant to displace water more efficiently. When driven through the snow the tyres’ channels will absorb it which gives it better grip as compared to a regular tyre which will become clogged with snow and so can cause the car to slide. If anything it can make your car dangerous to drive. The design and manufacturing process of winter tyres renders them less useful in hotter conditions. So, if you drive with winter tyres in summer, you’ll experience understeer, lateral roll, etc. Are winter tyres worth the extra cost and installation hassle? In the UK our winters are becoming colder and more unpredictable each year. Some years the winter can be milder than others, but most times for the past decade it snows and the temperature dives to subzero. So, unless you want to get stuck at home, or take the risk of getting into an accident if you do go out we are firmly advise that you install winter tyres. What’s more is the fact that now you can buy winter tyres in an array of sizes. So, whether you have a mini cooper or truck or 4x4 that requires 20-inch tyres we have them all. 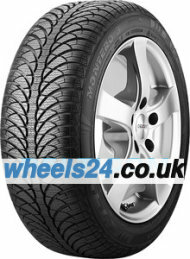 Why buy your winter tyres online? One of the biggest reasons to buy your winter tyres online from us is because we are trustworthy. Over the years we have sold hundreds if not thousands of tyres to dozens of buyers across the UK. In addition, we sell winter tyres at the best prices in the country. The tyres once purchased are sent to your doorstep, so you save time and money not having to haggle with offline sellers and drive for miles to find a good deal. Whether you can afford a top of the line Bridgestone for your Porsche or you’re looking for a cheap Chinese brand, we have them all. Plus, all winter tyres we sell comes complete with a warranty so you can be assured that the quality is top notch. Our team of experts are always on standby and willing to answer any questions you have. So, with great customer service, excellent pricing and a wide selection of brands, there is no reason to buy your tyres offline anymore. If you have questions about our winter tyres or need to place an order but are not sure how, then get in touch with us today. We would love to hear from you.